On August 19, the American Medical Association published the results of a medical study involving the medical records of just under 800 Americans. They concluded that a link exists between exposure to arsenic and a specific type of diabetes. They could not, however, pin down what type of exposure (by air, soil, water, etc.) caused the diabetes. “CHICAGO, Illinois (AP) — A new analysis of government data is the first to link low-level arsenic exposure, possibly from drinking water, with type 2 diabetes, researchers say. The study’s limitations make more research necessary. And public water systems were on their way to meeting tougher U.S. arsenic standards as the data were collected. Still, the analysis of 788 adults’ medical tests found a nearly fourfold increase in the risk of diabetes in people with low arsenic concentrations in their urine compared with people with even lower levels. 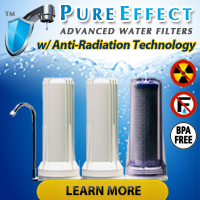 Announcements about arsenic in water such as this one by the American Medical Association serve as strong, compelling proof that the amount of arsenic in our drinking water does matter and that it needs monitoring at regular intervals. Fact: Arsenic levels in groundwater change as the water table rises and falls. Fact: Operators of public water systems must test the arsenic levels in the drinking water they produce and report those levels to the Government on a very regular basis — or face serious legal and financial consequences. Fact: Owners of private wells have no compelling legal reason to test their water for arsenic or that matter, anything. Responsibility for the safety of their drinking water lies squarely in their laps. Given that arsenic levels may vary greatly from week to week and possibly even day to day, Water Testing Blog suggest that owners of private well heed the advice of organizations such as the National Ground Water Association and the United States Environmental Protection Agency and test their well water (or get their well water tested by a certified lab) at least once a year — and definitely make arsenic testing a part of that routine. While do-it-yourself home drinking water test kits for arsenic such as the EPA/ETV Test Verified® Arsenic QuickTM do not take the place of water tests performed by certified laboratories, they do provide fast, reliable results in the field and work quite well as on-site screening tools for arsenic in drinking water. Awesome article about a topic more people need to know about! 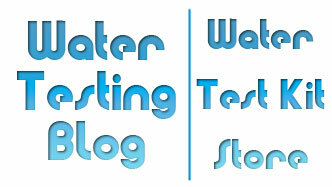 And you’re right that home drinking water test kits don’t equal a lab test. They are handy tools in the field, though, for sure!